I’m about to purchase a new pioneer avicw8400 for my 17 forester xt with HK. Since the pioneer doesan’t have a dedicated blue antenna power wire, do I hook it up with a amp turn on wire or leave it unhooked and does the RR turn on the power antenna/. Last edited by Voyles on Mon Nov 05, 2018 10:24 pm, edited 1 time in total. Re: Pioneer avicw8400 in 17 forester with nav. you can connect the Blue wire to the amp turn on wire of the Pioneer (blue/white), that will be fine. I have an additional wiring question. In the installation for the RR, I see an Aux cable and and audio cable connection. The Pioneer has a hard wired remote input directly on the back and a AUX input. What cable goes where? Do I need both? In your application, you actually don't need to install the audio cable. You can forego installing that, and put the aux cable to the aux input of the Pioneer. Just to confirm what I understand. 1. I don't use the audio cable that goes from the Maestro RR module to the radio. 2. I only have to use the AUX cable that comes from the su2 harness and plug that into the Pioneer radio. 3. I plug the AUX cable into the "AUX in" that is a harness off the head unit. Does this also mean I don't need the hard wired remote port on the backside of the unit? 4. Is it also an assumption that I will no longer have an usable AUX cable for anything else? 1. A plug/harness: The SU2 harness comes with the blue connectors plugged in out of the box. The directions for the 16-18 (7 inch screen and HK) have the A plug/harness have that blue connection to it. Do I unplug the “out of box” plugged setup in blue and put one to the a plug/harness? 2. Blue-power antenna wire: Previously, Bill stated I could tap this wire with the blue/white wire together with the radio’s only blue/white wire. Pioneer doesn’t have a power antenna wire (blue), only amp lead one (blue white). Is it also safe to use the Maestro RR blue wire to the Maestro RR accessory + wire(red) to power the antenna and keep the Maestro RR blue/white wire to pioneer blue white? I’ve heard Subaru’s antennas don’t work right if under 12v. 3. Do I leave the green plugs left unplugged? 1, 2, and 3 : Yes. 4. This aux cable is retaining your factory aux port in the console. When you plug into the aux in the console, switch your Pioneer to the aux source, and it will work like factory. 1. Configure the plugs like we show in the diagram, or your backup camera will not work correctly. 2. Yes. This should be fine. 3. Configure it as we show in the diagram. 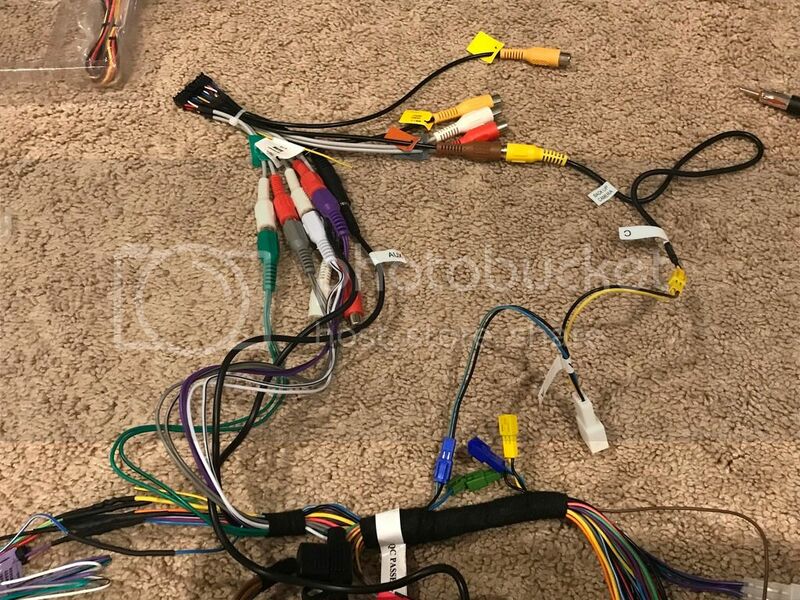 Only certain cars (legacy and outback) need the green plugs connected. I have another question. 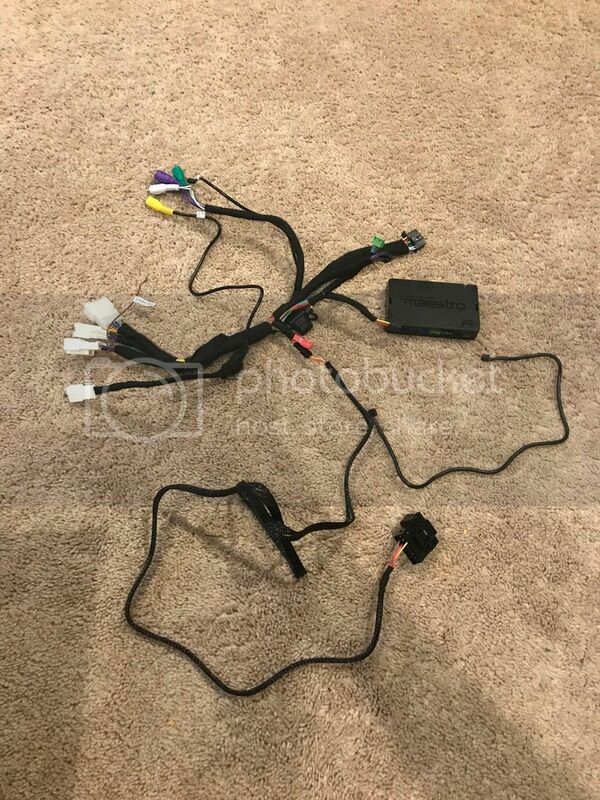 I just purchased a Sirius module for the radio and would like to know if you have an adapter that will connect the Sirius sxv300 module to the car without having to run the another antenna. We do not have an antenna adapter for the OEM satellite antenna in this vehicle. Ok, I’ve ran into some problems and believe I may have a wrong pinned harness. 1. I hooked everything up as noted above with the extra blue wire tapped into the red accessory wire. It would keep blowing fuses. I cut that connection and the radio would work. That blue wire was for power antenna. I do t know how a positive wire could ground and blow the harness fuse. 2 the speed displayed on the gauges is correct. The speed displayed on the navigation is wrong like all the time. I called Crutchfield and they told me the VSS wire was probably loose.not my case. 3. I did a system check (settings>system information)and it was receiving a vss signal, just not correct. I unhooked the OBD port wires and my speed on the gps would not show up at all. It would also not show up in the system check location that the vss was working. 4. I believe the harness is not pinned correctly. No vss signal, can’t tap 12volt accessory wire for antenna. 5. When I programmed the RR, I don’t have a back button option as the unit has one right in the front(labeled disp) with a back symbol. I have the the wires soldered properly. I’ve read someone else here had a harness that was pinned wrong as well. Here what I soldered to pioneer radio harness. I've since removed the blue antenna power wire from the +accessory as it was blowing fuses. The RCA connections are just in random positions as a test fit. Pink is to pink. 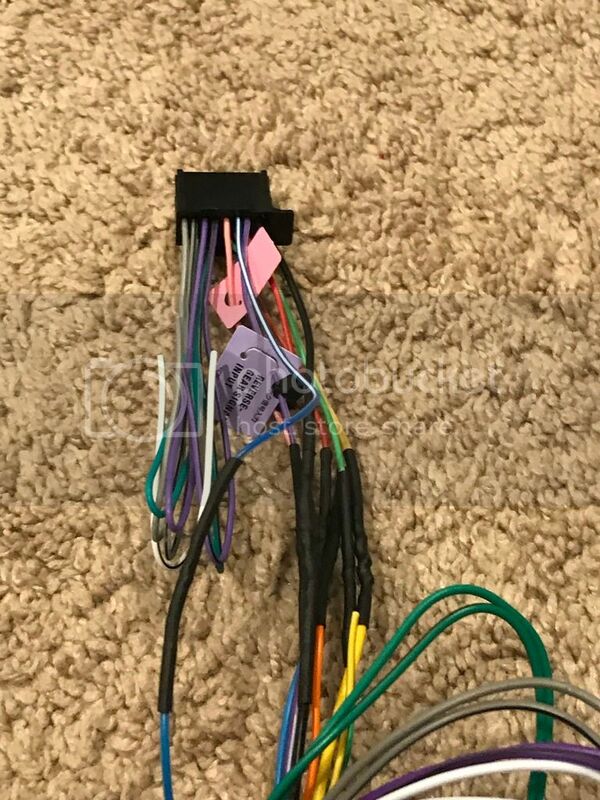 all you need to do is cut the blue wire that is going into the 6 way connector (the one that has the green pair wires and the purple pair wires), you can keep the blue wire connected that goes to the 10 way connector. In some models that Blue wire in the 6 way connector goes to the amplifier ground...awesome of Subaru to do that. 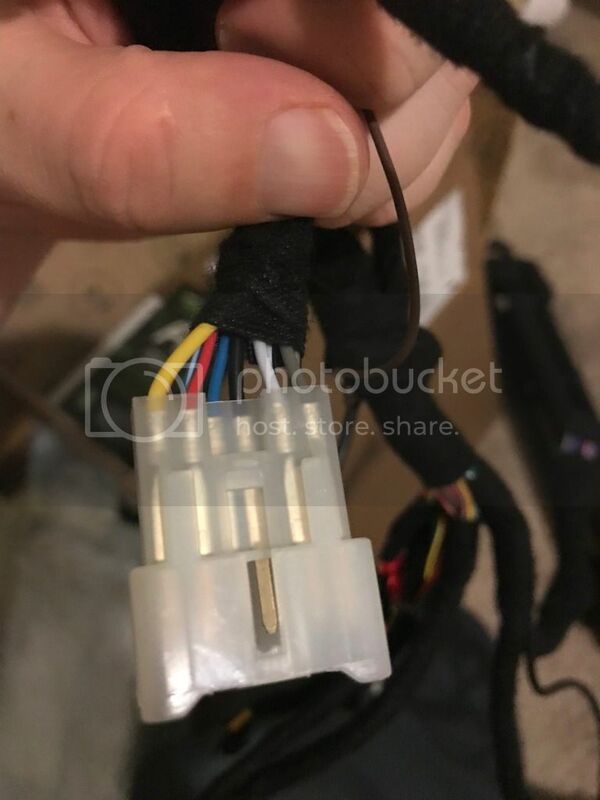 We read the VSS signal from the high speen CAN wires at the OBD2 connector. 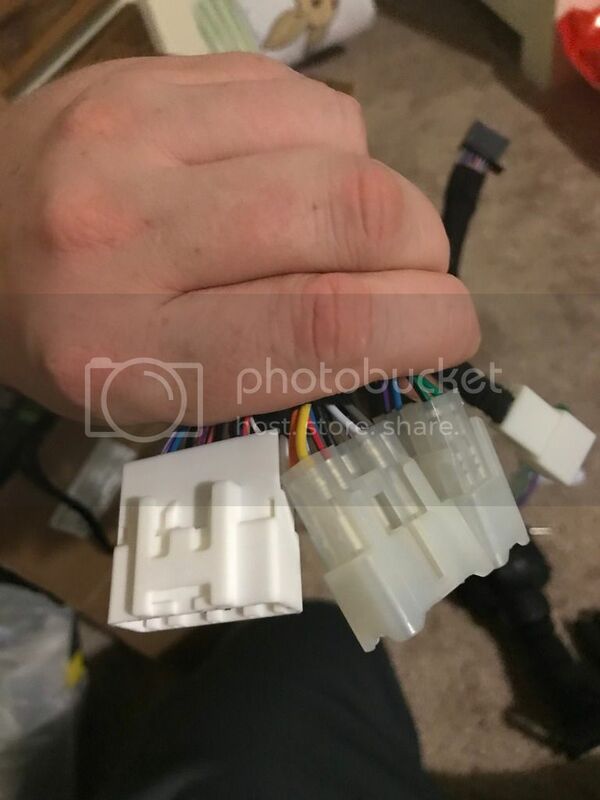 that's why the VSS signal stopped when you disconnected the OBD2 connector. There is a screen in the Pioneer that will show the VSS signal when you drive (it's there to show you that the radio is receiving the signal). Does the VSS signal show when you are driving in that screen? Pioneer does not have a "Back" command for the steering wheel controls, just only on the face of the radio. Ok, so I need to cut the blue wire in the 6 pin plug. Can I then hook up back up the antenna wire back to the +accessory wire without blowing a fuse in the ten pin? About the speed. I mentioned that it’s correct in the maestro gauge menu. It’s incorrect when I open the navigation and it displays mph on the map. It’s anywhere from 3 to 15 miles off. Don’t even recall it going over 50 mph. Crutchfield says it could be my vss wire. It’s annoying going 35 mph and have a red 45 mph sign show up on the gps. I’m not speeding. This is the reason I got the higher trim radio, back up navigation for some areas I travel that don’t have cell signal. that's correct, cut the blue wire going into the 6 pin connector and you will be ok, no fuse popping. as for the speed, do you have the nav antenna installed also? And I just checked, they do have an update out for that radio...it wouldn't be a bad idea to update it if you haven't already. I see the update from pioneer. The update doesn't say anything about GPS speed. I can give it a go. Do you know if i would have to reflash the RR again? It would take a lot of time to rip the whole headunit out to get the RR out again. I do have a GPS antenna above the radio. What else could be causing this problem? I'm getting high accuracy . when you update the radio you won't have to reflash the Maestro. As for what could be causing the difference in speed I don't know...it's really odd. I would call Pioneer and have a talk with someone there to see what else could be affecting the Pioneer. And do the update anyway, it's possible that they have fixes for minor things and they just don't list it, one of those things could the cause of the issue.